Astrology is an ancient art that has affected decisions of kings, emperors, and peasants. It allows us to read what nature has to tell us. It offers essential peace, knowledge, and insights. 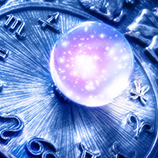 At the Astrology Boutique in Chicago, we have dedicated ourselves to offering the best of astrology. We understand that life is difficult, confusing, and hard. We recognize that we can help make it better, and we take this responsibility very seriously. We aren’t the only ones! 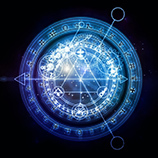 Astrologers have been passionately pursuing their callings for thousands of years. In the next few blogs, we are going to share the top 10 astrologers – going all the way back to the beginning. 1. Back in the first century BCE, an author anonymously published a significant series of books on astrology under the names of an Egyptian king and priest. Their names were Nechepso and Petosiris. These books do not survive today, but we know they formed the foundation of all Hellenistic astrology because every following astrologer referred to them. 2. Some of the earliest astrology texts that still survive were written by Masha’allah. A court astrologer in Baghdad in the 8th century CE, he played a big part in the settling the Islamic capital in Baghdad. His texts have been extremely influential to the western tradition, and he had students who made major contributions to the world’s astrological works. 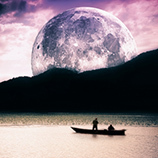 The Astrology Boutique is a safe place where you can come for answers and insights. In addition to offering the world-class astrological services of Carolyn, we also sell stones, oils, and more to help you. Make an appointment today!